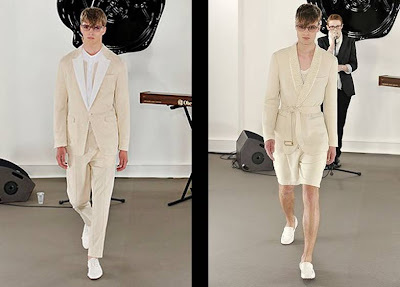 Their men's collections are always dandy and preppy, modelled entirely out of their personal style and what they always like to wear. The SS 2010 and 2011 collections are elegant, understated and mostly in wearable pale pastel tones. Check out their official site: http://www.viktor-rolf.com/index.htm, very enchanting and magical. Their women's collections are also more dramatic and of fine couture. 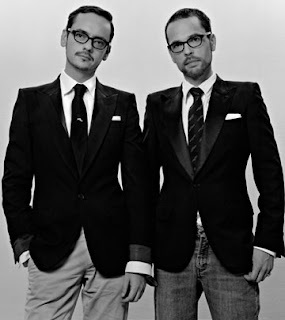 Viktor & Rolf are one of my favorite designers and their designs remind me of Patrik Ervell. 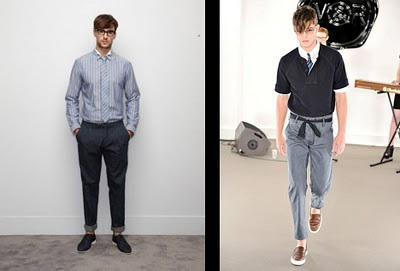 I like the clean cuts and geek chic look on their apparels. 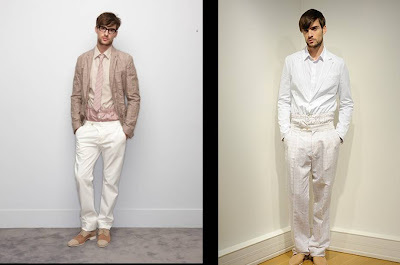 I observed that they like to mix formal pieces of clothing with informal clothing. For example, they placed a t-shirt over a shirt and a tie. Their designs are smart looking while not losing the youthful vibes of the person wearing the apparel. I am now more inspired to design sleek and preppy apparels in the future.